Product - Blue Diamond Almonds Sea Salt Oven Roasted Almonds 20% More Free!, 30 Oz. Blue Diamond Almonds Sea Salt Oven Roasted Almonds 20% More Free!, 30 Oz. 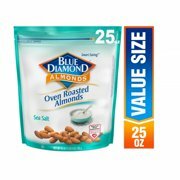 Product - Blue Diamond Almonds Lightly Salted with Sea Salt Almonds, 25 Oz. 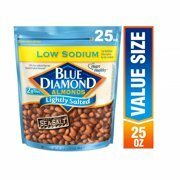 Blue Diamond Almonds Lightly Salted with Sea Salt Almonds, 25 Oz. 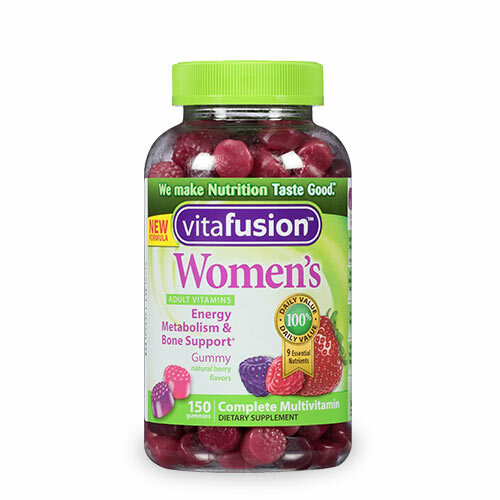 Product - Blue Diamond Natural Whole Almonds, 25 Oz. Blue Diamond Natural Whole Almonds, 25 Oz. 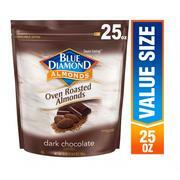 Product - Blue Diamond Almonds Oven Roasted Dark Chocolate Almonds, 25 Oz. Product - Blue Diamond Smokehouse Almonds, 25 Oz. 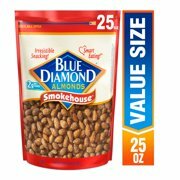 Blue Diamond Smokehouse Almonds, 25 Oz. Product - Blue Diamond Almonds Oven Roasted Sea Salt Almonds, 25 Oz. 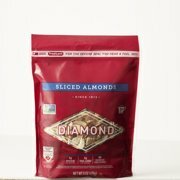 Blue Diamond Almonds Oven Roasted Sea Salt Almonds, 25 Oz. Product - Blue Diamond Almonds Bold Wasabi & Soy Sauce, 16 Oz. Product - Blue Diamond Almonds Crafted Gourmet Pink Himalayan Salt Almonds, 10 Oz. 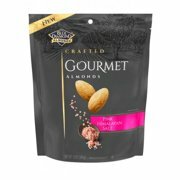 Blue Diamond Almonds Crafted Gourmet Pink Himalayan Salt Almonds, 10 Oz. 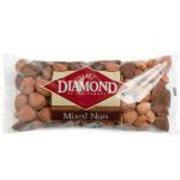 Product - Blue Diamond Almonds Roasted Salted Almonds, 16 Oz. Blue Diamond Almonds Roasted Salted Almonds, 16 Oz. Product - Blue Diamond Smokehouse Almonds, 16 Oz. Blue Diamond Smokehouse Almonds, 16 Oz.